While the rest of the world points blame and talks about banning bump stocks, one candidate for governor in Georgia plans to give one away, and had some fiery comments regarding recent regulation talks. “Blaming guns or bump stocks for the actions of a lunatic, is the same as blaming McDonald’s for heart disease,” Williams continued. The debate on bump stocks sparked into the wild fire it currently is after police found 12 of the devices on the rifles inside the Mandalay Bay hotel room of the shooter in Las Vegas. At first, the National Rifle Association was on board with new regulation, however, they believe an all out ban on bump stocks is not necessarily the answer. So, do you think there should be a ban on bump stocks? Georgia is scheduled to hit the polls on November 6, 2018. 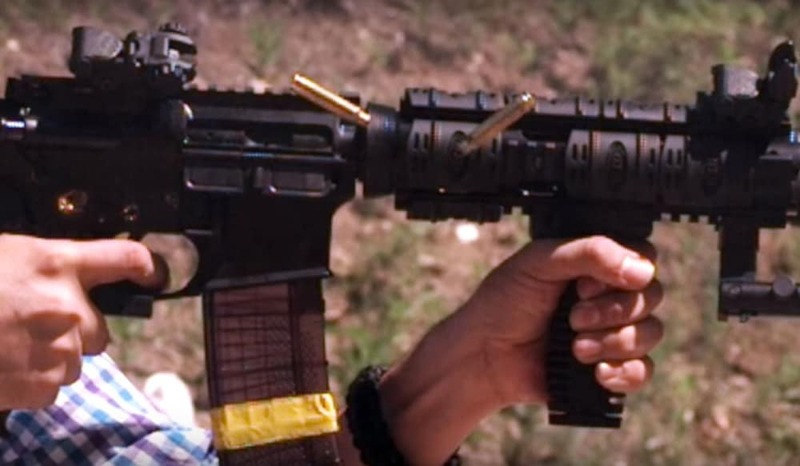 Here’s a good video that shows an AR-15 with a bump stock firing in slow motion It will give you a better idea of how they work.